Last month we published our review of the Optoma HD25, a sub-$1000 1080p DLP home theater projector with full 3D compatibility. The HD25 turned out to be a great value, but its limited light output constrained its use to darkened theaters and other low-light areas. These days, a lot of folks are looking for a projector that can perform in areas with mild to moderate ambient light. The Optoma HD25-LV is a higher brightness version of their popular HD25 built for living room use. The HD25-LV costs a little bit more; it sells for $1299 while the HD25 currently retails for $949. However, that extra $350 gets you over double the light output of the smaller model, making the HD25-LV an excellent choice for dedicated 3D theater, living room use, video gaming, and exceptionally large screens. The HD25-LV is mostly the same as the HD25. The two projectors use the same body design, and it can be difficult to tell them apart at a glance. Once the projector starts up, though, the difference becomes obvious. The HD25-LV is much, much brighter. When we tested the HD25, Bright mode on our test unit maxed out at 1185 lumens. That's plenty of light for a home theater projector, but not enough for living room use during the day. Bright mode on the HD25-LV measured 2420 lumens, or more than double the measured maximum of the HD25. This doubling of output continues across all of the projector's image modes, including Cinema which measured over 2300 lumens. With that much light output, an 80" diagonal image in the living room looks brilliant, well-saturated, and high in contrast despite the presence of ambient light. As with any projector, black level suffers whenever there is ambient light in the room, but high light output preserves dynamic range and keeps the projected image from looking flat or dull. Like the HD25, the HD25-LV has a manual 1.2:1 zoom lens with no lens shift and a fixed upward throw offset of 15%. As such, the simplest placement option is on a table. This is a good choice if you plan to make use of the HD25-LV's portability, since it is much more difficult to mount and dismount a projector from the ceiling. Thanks for publishing this long-awaited review, Bill! I have to admit though that I'm a bit underwhelmed by it as there's no statement on the noise level (which as I noted in my other comment, is very important to me). Does that mean noise levels are similar to those of the Optoma HD25? If so, how is that even possible? I mean, I really wonder how Optoma would manage to get double the measured lumens (2300 lumen vs. 1185 lumens of the HD25) out of a very similar device, seemingly without any major drawbacks (apart from slightly worse black levels which is to be expected)? Is it simply the Philips vs. Osram bulb? If so, I'd expect all other manufacturers to switch their bulbs as well, as it's literally a no-brainer then. Or/and does the HD25-LV have a different color-wheel, maybe with a wider (or additional) white sector? The fact that colors allegedly don't noticeably fade compared to the HD25 suggest that it might be the different bulb only indeed (as with a white sector in the wheel one would expect quite some color fading). On the other hand, as noted, I don't understand why not every other manufacturer uses the same Philips bulb then. Another point regarding the audible noise level: Since the LV model has a so much brighter image, the LV model could perhaps also be a very good alternative for those potential buyers who fear that the HD25 might be too noisy, assuming the LV's noise in Eco mode is lower than in its normal mode (is it?). As even in Eco mode, the LV's 1725 lumens (-25% compared to measured normal mode brightness) are way above HD25's measured 1185 lumens. Any opinion on this idea, Bill? All in all, if I trust your review, the HD25-LV looks like a clear winner to me. I mean, why even think about purchasing a HD25 or a Benq w1070, considering one gets more brightness (which can always be dimmed down using Eco mode and disabling BrilliantColor) at almost no disadvantage? I'm happy the HD25-LV seems to be a great projector for its money compared to its competition. That said, I still regret that projector manufacturers don't seem to be able or willing to publish honest numbers about almost everything (like lumens, dB/sone, contrast, etc.). I've been waiting for this comparison for weeks - I need a replacement projector (my Panny AE700 is in its death throes). However, I still can't determine if I should get the HD25 or the HD25-LV. I have a dedicated (dark) theater, so the HD25 seems recommended. But, I have a 133" screen, and would prefer to run the projector in Eco mode. Not necessarily to make the bulb last longer, but to make it quieter and possibly generate less heat. So, which? I don't want the image to be TOO bright... would Eco mode on the HD25-LV be OK for me? I'm leaning that way, because I'd be able to go to "full" for 3D if I need more brightness. The HD25 and HD25-LV have the exact same fan noise. I have added a comment in the article to this effect. As far as "how is that even possible," I do not want to speculate. Your suspicion that it might involve the color wheel is plausible, but Optoma no longer publishes color wheel information, even for their home theater projectors, so it is impossible to confirm. We have asked Optoma representatives several times for color wheel information but they have declined to comment. Both the HD25-LV and the HD25 are actually very quiet in operation, but you are correct that Eco-mode is quieter still. Your idea of using the LV in Eco mode instead of the HD25 in full power is not bad, though the HD25-LV's black level is still not as deep as that of the HD25. The HD25-LV's additional lumen output in 3D mode sounds like it would be beneficial to you. If 3D is a priority, I'd say go for it. Bill, Did you notice more rainbows on the HD25-LV compared to the HD25? This might indicate a slower spinning color wheel which would allow for greater light output on the former. Or maybe the HD25-LV illuminates the same lamp with greater intensity. Did you measure electricity consumption for the two projectors? 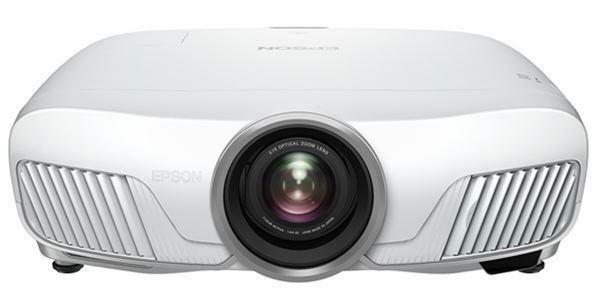 The Optoma HD25 and HD25-LV seem like good projectors that provide a good balance between price and performance. However, I hope they rise to the next level in terms of providing cutting edge features whilst being competitive. Example: Full blown colour management, better upscaling and noise reduction and most importantly better glass for a super sharp projected image. The classic InFocus projectors were absolutely loved for their sharpness and colour fidelity right out of the box. I remember the InFocus IN83 was a benchmark projector and to this day it is sought after in the used market. This is the sort of direction that Optoma should take and I believe it can very easily. How does this projector compare to the optoma hd33? Thanks Bill for this detailed review. I m thinking to switch to HD25 LV from my 3D Lg TV 47LM8600. My main concern is about the black level of LV's in comparison to LG LM8600 (if u have ever tested that specific model). Kindly reply me ASAP. Great review...thank you. I am looking for a projector that can handle dual use. Mostly it would be for use in my small living room that has ambient light (the light coming in would not be facing the screen, but instead would hit the wall behind the screen). I am less worried about this use. I also plan to take it onto my patio for nfl sunday game viewing. I have a big brown gazebo canopy that will cover the screen area and provide some protection from the daylight. I think I need at least 2500 to 3000 lumens. What do you suggest? My other concerns are that I want 1080p, decent color output, and also a usb input that i can play video from (think Chromecast). I dont care about 3d, but its a nice feature if it had it. Is there a projector you suggest around or under 1000? I am considering this optoma, the benq 1070, acer h6510bd. Any others that have it all and allow me to be greedy and get everything I want? Edward - I did not, but I am not especially sensitive to rainbows. I would not be comfortable making a judgment either way. chachanyc - While I haven't looked at the HD33 next to the HD25, I am inclined to say that the HD25 is an improvement. Najeeb - Sorry, but I don't test TVs. Sam - I don't know any projector that can do all of the things you want. Outdoor projection during the day is about the toughest application there is. Just be aware that you will probably need a smaller image size than you are imagining in order to get a bright picture. In fact, though I am by no means an expert, you might want to consider a television rather than a projector, because I doubt that 3,000 lumens will be enough. I've had the new Optoma HD25e for a week now, and am quite happy with it. I agree with comments that the lens is the weak point, because focus is a bit soft. The offset also require a bit more thought on placement. Other than that though, I really like this projector. In case it's helpful to anyone else considering one of the HD25 models, I've posted an Opinion plus Topics in both Home Theater and Projectors forums for more details. I'll try to check back here in the next few days in case there are any questions. How does the HD 25-LV compare to the HD 33. Since the lumens are lower but the contrast ratio is higher! Which is the better buy considered the HD 33 is a bit seasoned already. What about the comparison between the HD25-LV and BenQ W1070? I just purchased the LV and it goes into use tonight. I have a new outdoor 220" and am having a movie night outdoors for my kids and all the neighbor kids.. I currently have a dated $16,000.00 Marantz DLP that just doesn't have the lumens for outdoors use.. I will update you all on how this Optoma HD25 LV holds up.. This will offset the screen back 3-6 feet in a much darker environment. It will make the projected light stand out in comparison to the black housing around the screen. NOTE: you might want to weight the bottom down so wind thing you know. Also cuts dome half moons into the sheets to allow wind to pass through. You want to do your sailing on the water not your back yard. When finished disassemble and roll each of the four plastic segments up on the suggested 1"x1"x8' polls/frame and store until next yard party. Not perfect but a great improvement. Im trying to decide between two projectors. One being the Optoma HD25-LV and the Panasonic AR100U. I have 10' ceilings so i would need the image to be projected down to a lower screen. Can anyone help me out please??? Sorry to necro an old thread, but has anyone tried the newer HD25e? Seems like a great balance between the older HD25 and the HD25-LV. I am COMPLETELY new to projectors, but we are moving in a few weeks, and I was finally able to put together the budget to give a newbie-DIY home theater in our new finished basement a try. Costco here in Canada has what seems to be an excellent deal on the HD25e + RF emitter + two pairs of Optoma RF glasses for $1099.00. I have just got this projector (HD25LV) but unable to get the best picture out of it so far. Can anyone please advise me the best possible calibration setting for a dark room on 1.0 gain matte white 120" screen. hi Bill thank you for great reviews. I am planning to buy a home video projector for my new house. there exists high ambient light in my living room, so I need a bright one. hd25-lv has good brightness, so I expect to have bright picture at 80 to 100 inches. optoma has announced two new models, hd26 and gt1080. considering hd25e, I can't decide between four optoma projectors. may I ask you to compare them as soon as new models are available? these projectors have many similar official specs, but some people believe that new low power models could not be as bright as hd25-lv. I am also thinking to new function indicators that projector industry needs. for me, lumens to watt is important, which I hope to calculate for new projectors you review. thanks. Frankly, I do not understand how it is possible not to talk about fan noise in a exact way. Both eval lacks the a fan noise section. The LV review says the noise is the same - but same to what level? The forum section - not the proper place to give data - gives the info that it is a quite projector, but without comparing to specifically it is almost meaning less. I think many of us interested how noisy the projector compare to the most quite one or wantsto see real data. The manufacture provide databut it is not realiable, like the mpg for the cars. Japanese are much more accurate than US acar makers. This kind of error (leaving out the noise factor) makes the review not credible. I do not understand how can be left out and more importantly why not fixed. I am not the first who pointed out / asked for this info. It would be also usefull for the reviewers to concider reliability and QA. I know it is hard, but I find it misleading when they give a glowing review when it is known the unit has some serious QA problems. Sample of one may not reflect the performance of the product. how to wall mount this projector? Yes, I too want to know how loud or distracting it is...I had the plain 25 when it first came out in Feb2013. The fan was somewhat quiet..but like a low expensive roar...my wife couldn't cope with that. Then got the Benq W1070 but really loud and more high pitched...so no good either..settled on acer 6510 and fan noise agreeable for both of us...but the lamp on that is getting weak and flickering...about 4800 hours on it..so instead of a new fan would like new projector..so what is a good reasonable quiet projector? what is the difference between analog and digital projector, since in comparison list says that hd25-lv is analog??? I have a HD25 and it is true that in 3D, it is a bit too dark. A bit more "light" should help. Is the HD25-LV lamp can be used in a HD25 unit ? @sasa. if you just compare this model to any model your familiar with (using the compare option up top). you can see the noise level there. and its better for you to be able to compare it to one you're familiar with rather then just basing it on somebodies written opinion. Everyone here seems to be 'focused' on brightness and lumens. More important to me is the contrast. No good having a bright light with no definition. Need to measure the colour content and shades of black and white. I just wanted to clear up once and for all, the confusion regarding exactly how the Optoma HD25, HD25-LV, and HD25e are different internally, and provide info on the color wheels and how they and the lamps have everything to do with the differences. This information was gathered from reading the service technicians manuals for these three models. So now you should be able to clearly see how the LV model is so much brighter despite using the same lamp. the HD25 uses a red/green/blue/red/green/blue segmented color wheel, meaning color light output is 100% of lumen spec, while the LV and e models both use a different red/yellow/green/cyan/white/blue segmented color wheel, which boosts the lumen spec due to the white, yellow, and cyan segments. I was wondering if the HD25-LV can be mounted to the ceiling with 0% space in between and project the image from the top of the wall (using keystone correction of course). I'm trying to decide between this one and the W1070+. Can anyone give me some insight on choosing between the HD25LV VS HD37. At the local Costco they are within $100 of each other with the HD37 being the more expensive. I can appreciate different projectors have different uses and not necessarily is a more expensive projector a better fit for everyone but some feedback would be appreciated.